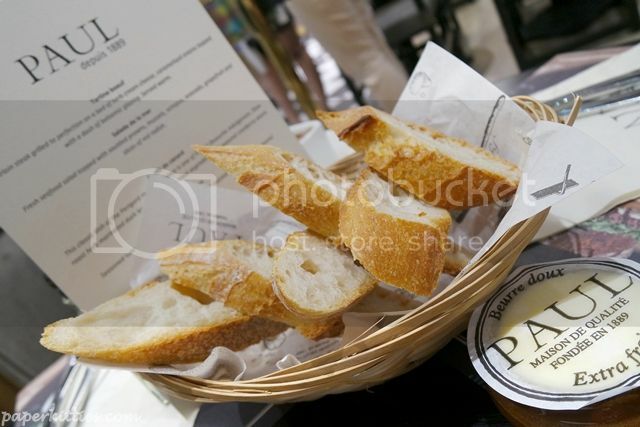 Famed French boulangerie, PAUL, has recently opened it’s new outlet at Marina Bay Link Mall! 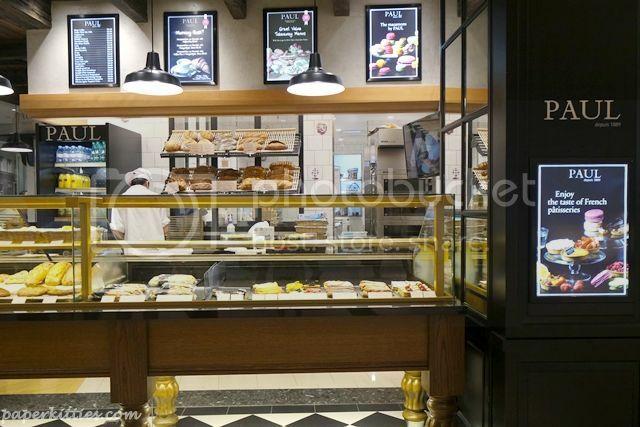 Along with new changes, patrons of this refined heritage French brand will be delighted to try out the 26 new dishes, desserts and beverages that is now launched islandwide. 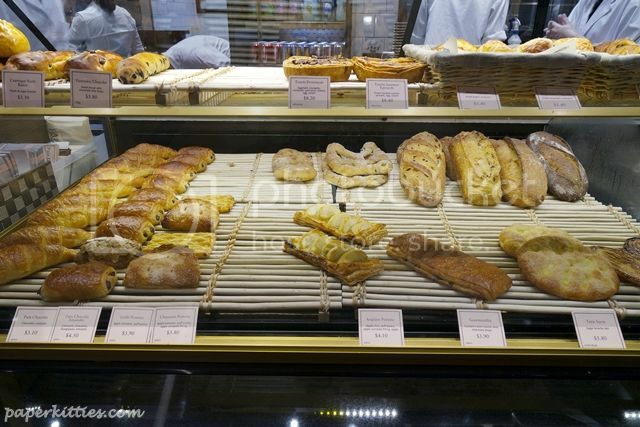 Loved for its handmade traditional and specialty French breads, you will be pleased to find different kinds of rustic and fancy breads that has the same nutty flavour as in France. 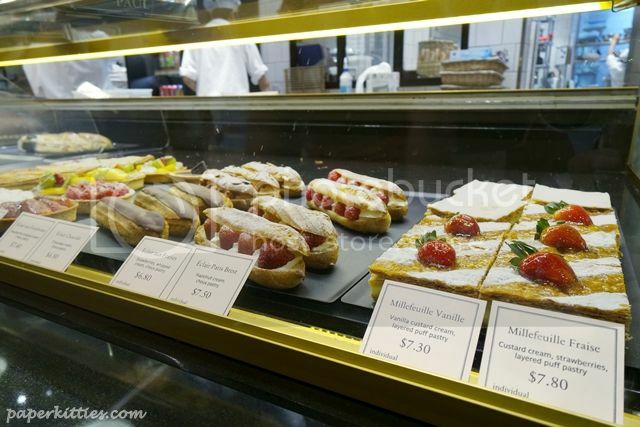 And what French fare is ever complete without its decadent pastries right? 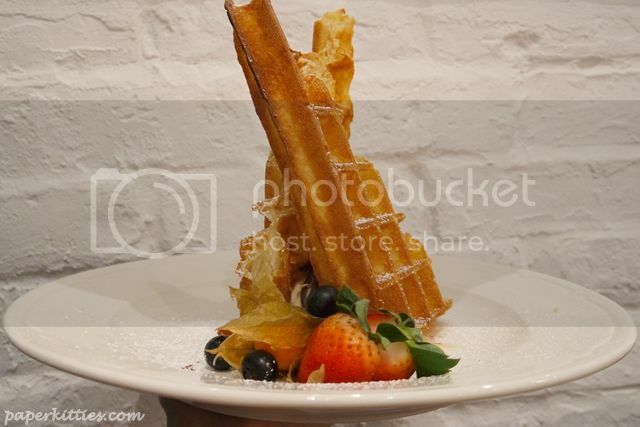 But that will not be the main focus today, instead let’s have a sneak peek into their new items ranging from savoury mains to sweet indulgences… below are the few dishes I’ve tried recently! 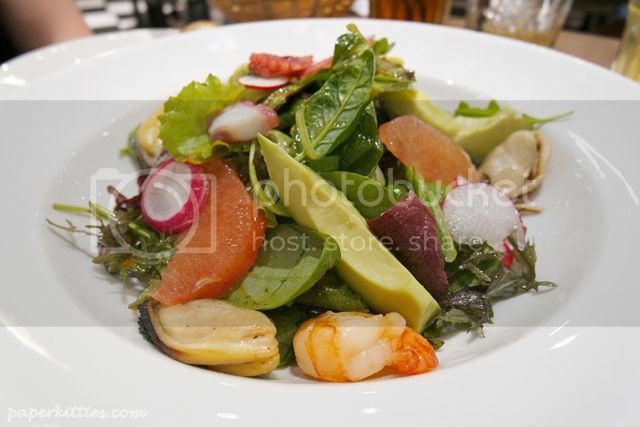 For appetizer, we were served Salade de la Mer($20.90) which is a refreshing seafood salad topped with seasonal fresh greens combined mixed with succulent prawns, mussels and octopus topped with creamy avocado, grapefruit and slices of red radish. The ingredients were really generous and I find it more than sufficient if you’re into a healthy low-carb option, especially when you’re having a quick lunch. Moving on to the PAUL‘s French classics, we have the Longe de thon($29.90) – a seasoned loin of fatty tuna that’s grilled to perfection and served with roasted vegetables and cranberry sauce. 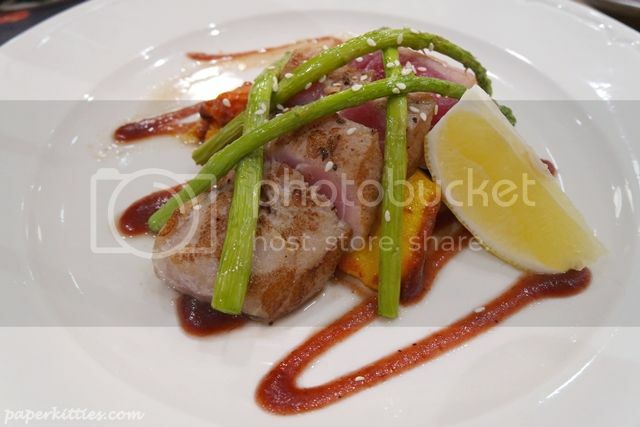 It was a hit or miss with this one, but I like it and find it an interesting combination of the salty tuna paired with the sweet cranberry sauce. No French classic is complete if you’re not served roast duck! Confit de canard($28.90) is a slow roast herb-marinated duck leg accompanied by roasted vegetables and cranberry sauce. 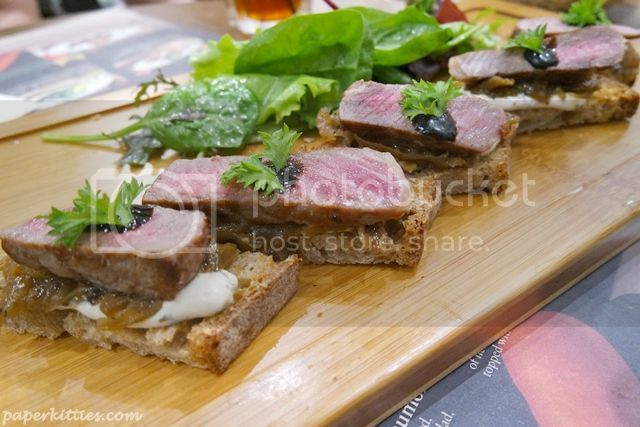 The combination feels like the tuna but as the portion is bigger, it was definitely more satisfying for my hungry tummy~ We were told that Confit de canard is traditionally marinated for 1-2 days before being oven-baked. 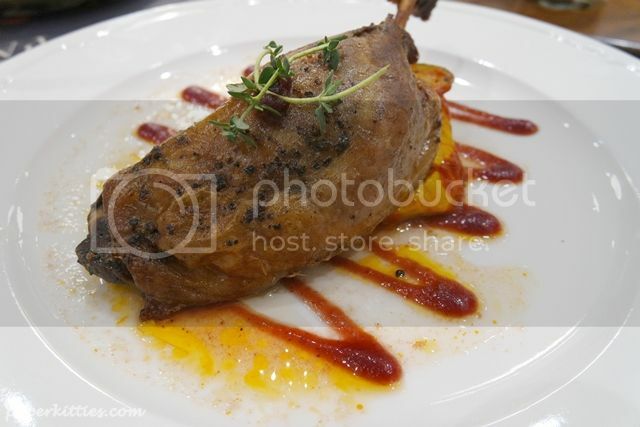 The entire dish was very well balanced where the cranberry sweet and sour complemented the duck saltiness. Ending our delightful meal with classic French sweets, we were treated to two new desserts that were recently updated in PAUL‘s wide array of sweet treats. 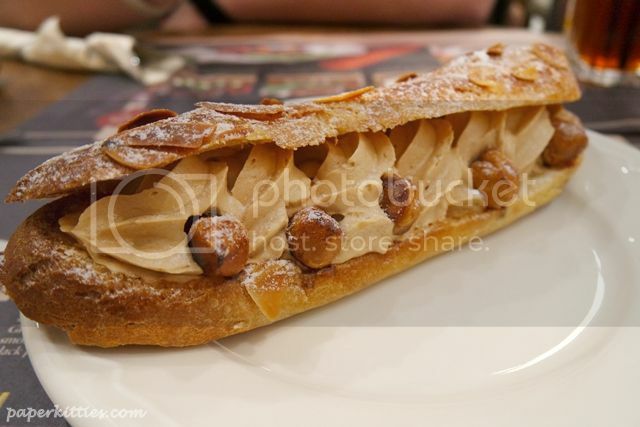 Eclair Paris-Brest($7.50) definitely hit the spot for me with its almond-flaked choux pastry generously filled with hazlenut cream and come cutely accompanied with caramalised hazelnuts that taste like popcorns! Previous Post Unveiling The SNAILWHITE Box!